Well it’s that time of the year again. After each year’s success of our trials and the placements we have decided to centrally locate again this year In Greenville SC at the Shannon Forest Christian School on 829 Garlington Road, Greenville SC 29615 for our European trials. The nearest airport is Greenville/spartenburg International which is 7 minutes from the School. There are good local hotels less than 3 minute’s from the facility. Take some time to visit our website at www.22ft.com or our www.22ftusa.com and look under the section trials and showcases for more information on how to register. 22ft will be holding their annual trials and showcases for both men and women for contracts with European clubs at Shannon forest Christian School. This year as last year, we are looking at individual workouts and assessments this year as well as the group drills, the coach’s games and the briefings. The dates this year are the 7th June 2014 for the Men and 8th June for the Women. 22ft has assembled various contracts with European clubs, coaches, scouts and other representatives from European clubs who have expressed an interest to hire American players and talent in the USA who want to go overseas and play in Europe or wish to have representation. We have had some great success stories this year, both the guys and the girls. We have had several of the men go to Division one teams in Holland, England, Hungary, France, Spain, Italy and Germany, which shows how committed we are to our trials and the system we use definitely works. 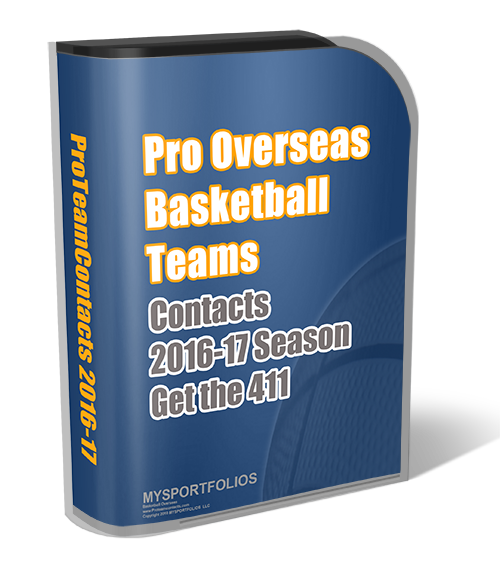 A lot of the combines, trials, summer leagues are a waste of time and we realize a lot of players get bombarded with it, but at least our trials are real, with real contracts and we are straight talking with the players. We have attached below the information for you to read. We are again bringing around 30 contracts to the trials and a few of our coaches. 22ft is offering the chance to potential basketball players the opportunity to showcase their skills. At each trial and tryout weekend the teams are made up of 6-7 players per team who will be playing in 30 minute games in a league format. Players will be provided with a team to play on and a uniform whereby they will have a unique number for the weekend. This number will identify the player to the scouts, Coaches and GM’s who will be present. The weekend will be staffed by professional referees, video, statisticians and other helpers in order to make it one of the most enjoyable and professional trials possible. The players will be expected to turn up at the tryout location of Shannon forest Christian school, 829 Garlington road, Greenville SC 29615, at 8am on The morning of the trials in order to go through registration, team allocation, measuring, photo sessions and then questionnaires and individual video sessions. 22ft has a different approach to management of players and their representation. We provide the players with a questionnaire which needs to be filled out. In addition on the weekend the players will have their pictures taken which will be used for their player portfolios. During the weekend, each player will have a dedicated time for discussions with a 22ft representative in order to plan out what will be done for the individual player and how best to maximize their potential on acquiring a pro contract in Europe. In addition, 22ft will be videoing the complete weekend and will create player profiles which will have highlights of each player. These highlights will be placed on a DVD and provided to the prospective teams who are looking to hire them. A short presentation by Matt Schmidt, Director of basketball operations of 22ft will then go over what happens with pro-packs and how they are operated. The cost is 185 euros or 235 dollars depending on which button you choose. There will be breakfast served on the morning at the gym. The day will go on till around 5pm, whereby contracts for players will be handed out for contracts in Europe. We will also be holding various tests, such as 3 point shooting contest and an endurance and strength test to evaluate players shooting efficiency, athleticism and their overall fitness levels. Now’s the time to show us what you’ve got! Need more information and how much it cost.